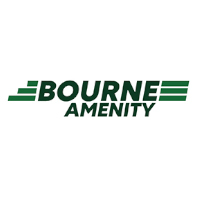 Bourne Amenity are one of the leading manufacturers and distributors of landscaping materials specialising in the manufacture and provision of bespoke soil blends to suit all landscape and sports turf requirements. Our customer centric focus allows us to operate on the most demanding of sites for the UK's premier landscaping and building contractors. Innovation in our soil production methods allows us to create and improve upon existing standards to match new site specifications for prestigious projects, substrates for green roofs and SuDS systems submitted by Landscape Architects, Designers and Soil Scientists currently leading the way in greening our town and cities.